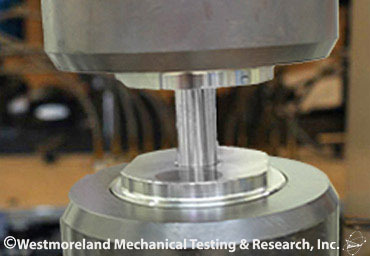 < < What is Fatigue Testing? 1. From Latin "Fatigare" meaning "to tire." 2. Engineering terminology: - damage and failure of materials under cyclic loads. 3. 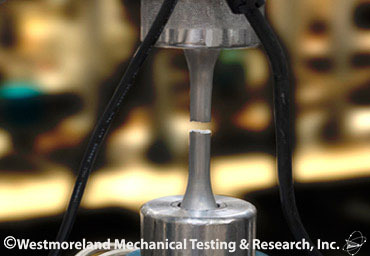 Fatigue testing is defined as the process of progressive localized permanent structural change occurring in a material subjected to conditions that produce fluctuating stresses and strains at some point or points and that may culminate in cracks or complete fracture after a sufficient number of fluctuations. Fatigue is the progressive, localized, permanent structural change that occurs in materials subjected to fluctuating stresses and strains that may result in cracks or fractures after a sufficient number of fluctuations. The cyclic stresses are normally well below the yield strength of the material. 3. Final, sudden fracture of the remaining cross section. 1. 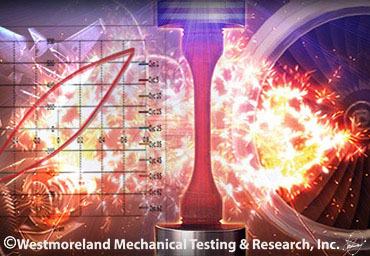 Mechanical Fatigue - fluctuations in externally applied stresses or strains. 2. Creep Fatigue - Cyclic loads at high temperatures. 5. Fretting Fatigue - Cyclic loads combined with frictional sliding. 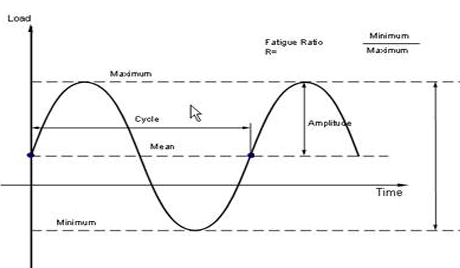 Cyclic loading generally produces failure however low the stress may be. However, with some materials the S-N curve levels off, suggesting that for these materials a limit of stress (load) can be specified - known as the fatigue limit - below which infinite life can be expected. The fatigue life is thought to be associated with the phenomenon of strain ageing. Most non ferrous alloys do not show a fatigue limit. Instead their S-N curves continue to drop at a slow rate (dotted line). For these types of materials, the fatigue strength is quoted. This is the value of stress to which the material can be subjected to for a given number of cycles (10,000,000 cycles is the value often used). life can be crack initiation). Failure = Typically a crack of predefined size. 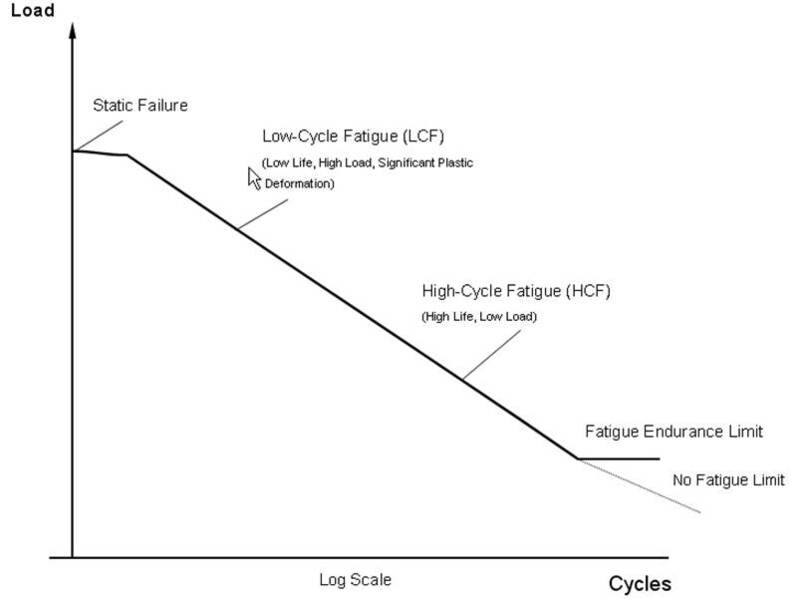 High cycle, low stress fatigue. First fatigue design method. Large amount of data available. Assumes defects present in material. Resistance to Fatigue Crack Growth. Useful Fatigue life = number of cycles to propagate a crack from an initial size to some critical dimension. 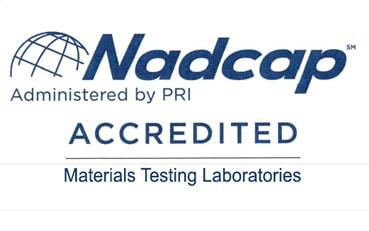 Failure = critical crack size based on fracture toughness of material, limit load for particular structural part, allowable strain, change in compliance of a component etc. 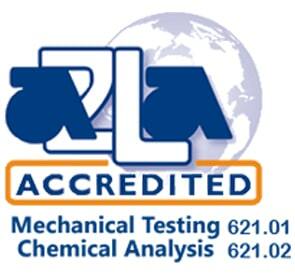 Need Fatigue Testing? Fill out our secure online form and we’ll respond quickly.